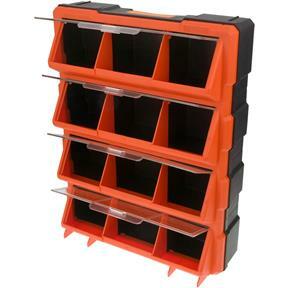 Each row of bins features a clear see-through cover that lifts up and stays up so small items can be easily accessed. Bins measure roughly 4" x 4" x 4". 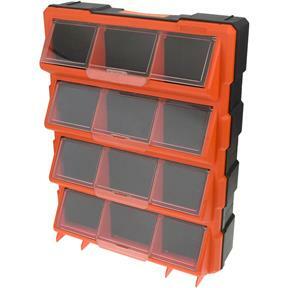 Overall size is 18-1/4" H x 14-1/4" W x 5" D. Great for small part organization and assembly work.